Archway inflatables can be used at your race events or as a branded promotional sale display. 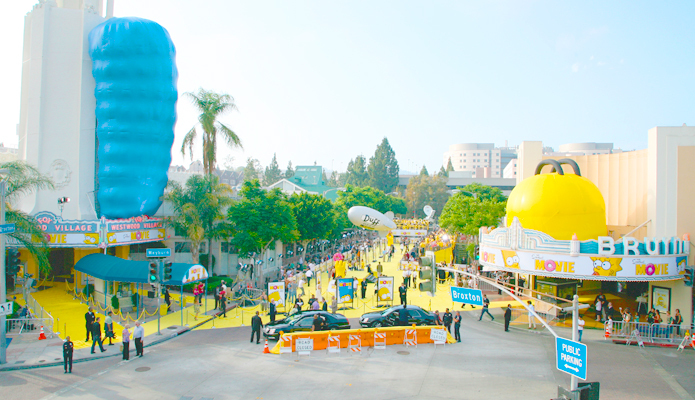 Add excitement and interactive interaction to your promotion or event with our custom promotional rooftop inflatables. 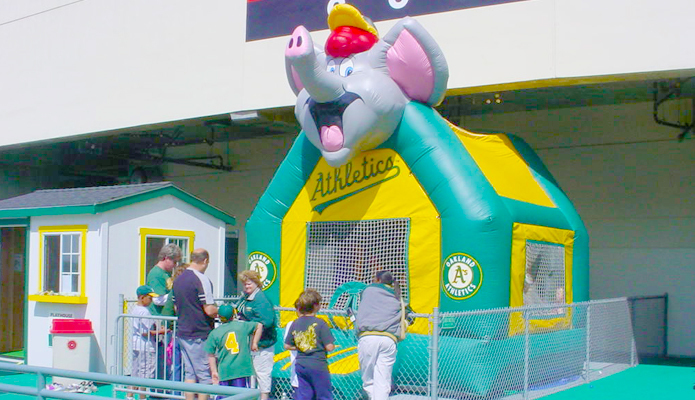 These custom inflatables add excitement to any expos, exhibitions, promotional and charity events. Branded inflatable games and sports pens are a huge success at events of all kinds. 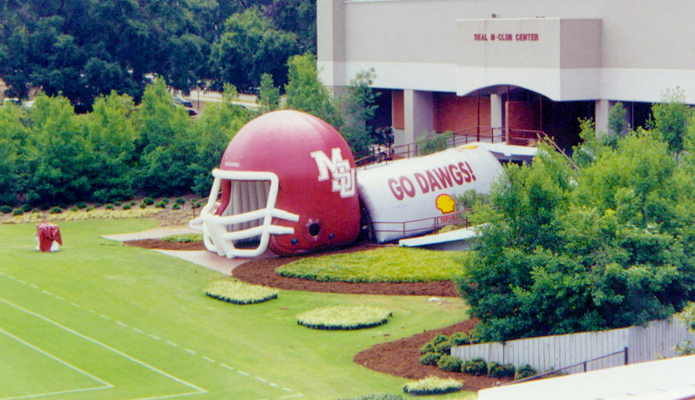 Custom built inflatable tunnel specifically for you using your mascot, school colors, or theme. Inflatable misting tents are a perfect way to cool any outside sporting event, festival or fair. 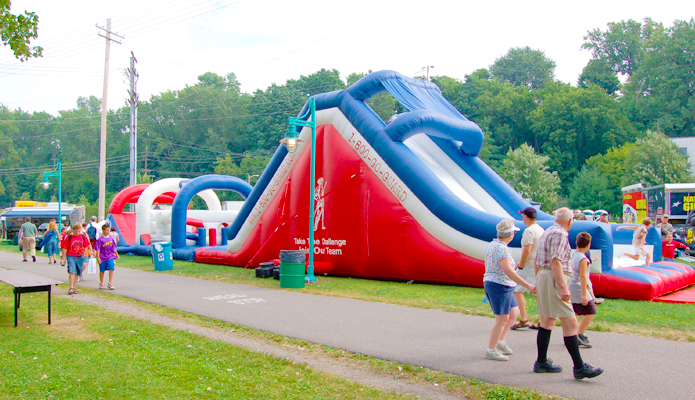 Obstacles include a climbing wall, tunnels, tubes and tanks, or customize it with your own obstacles. A must for trade shows, in store promotions, prize giveaways and promotional events. Inflatable logo walls are affordable and eye-catching promotional tools. 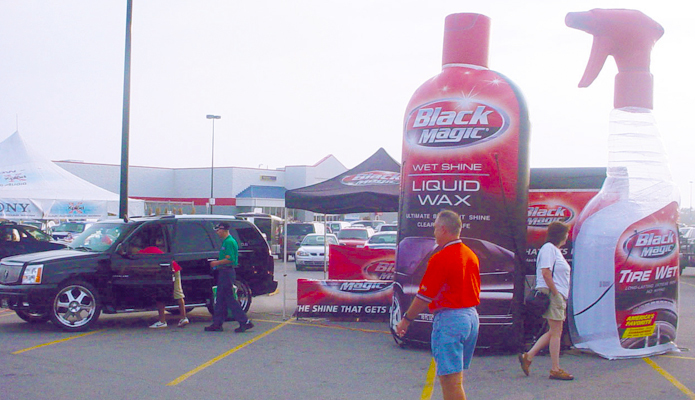 Push your sales through the roof, and add more profit to your promotions with outdoor advertising inflatables! GSA Military Inflatable contractor USA inflatable manufacture. These roof-top air dancing guys command attention to your special event. 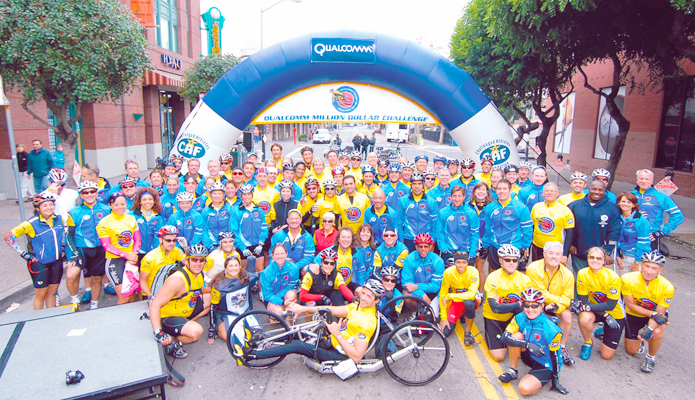 Bring your event or marketing effort to life with a custom branded advertising inflatable! 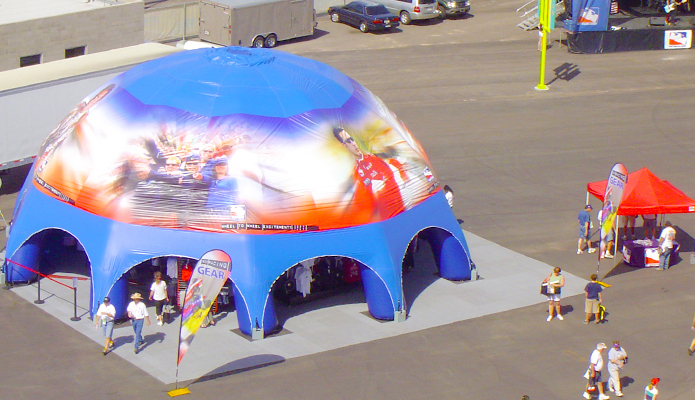 These advertising inflatables are great for any outdoor promotions such as grand openings, race events and trade shows. 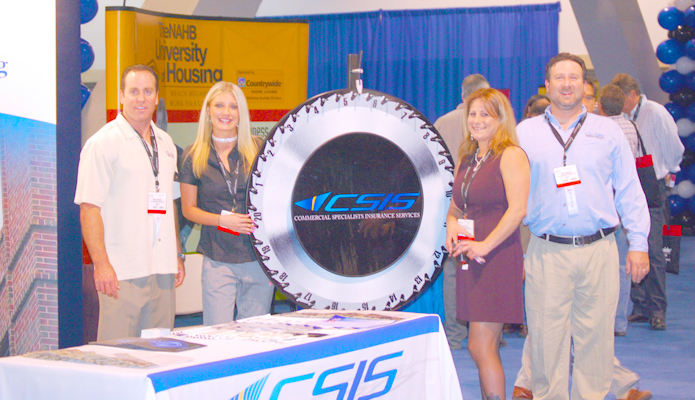 With a custom inflatable logo, branded prize wheel or inflatable archway you will have the opportunity to get your message or logo seen. In addition to our custom giant inflatables, air blown inflatables, cold air inflatables, and advertising balloons--we create promotional tools for event marketing, outdoor and indoor promotions, trade shows with custom design prize wheels, spinning wheels, promotional wheels, point of purchase spinning wheels, floor-standing wheels and mini wheels of fortune. We specialize in creating high quality custom prize wheels, game wheels, wheels of fortune, and custom prize wheels with your company's colors and logos. A cool new inflatable Trojan Helmet Team Sports Tunnel with Blast curtain for Anderson High School in Austin, Tx. How cool would it be to have your own Team Sports Tunnel? 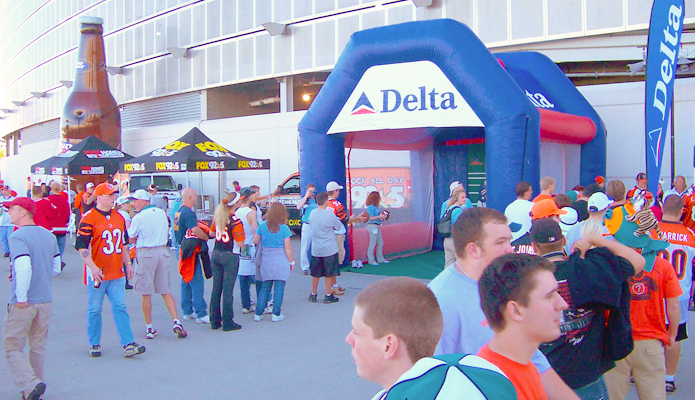 Custom Branded Inflatable Archways are the best way to draw and keep attention at all types of events. Inflatable Archways can be used as START/FINISH lines, as well as, advertising, marketing promotional tools at festivals, social sporting events and much more. Let Interactive Inflatables help your company/business/product get the exposure it needs with a custom made Inflatable Bounce House or other Giant Marketing Promotional Inflatables. 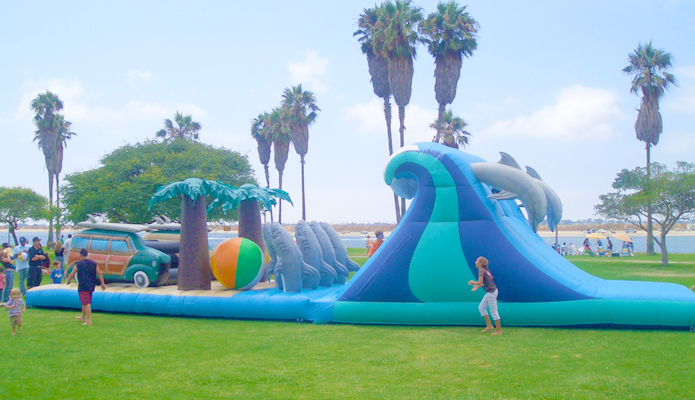 Since 1994, Interactive Inflatables has been the leader in quality custom made inflatables. We manufacture all of our inflatables here in the USA, using the highest quality materials and manufacturing techniques. We have the shortest production lead time of any custom inflatable manufacturer. Your custom advertising inflatable will be made to the exact specification desired. 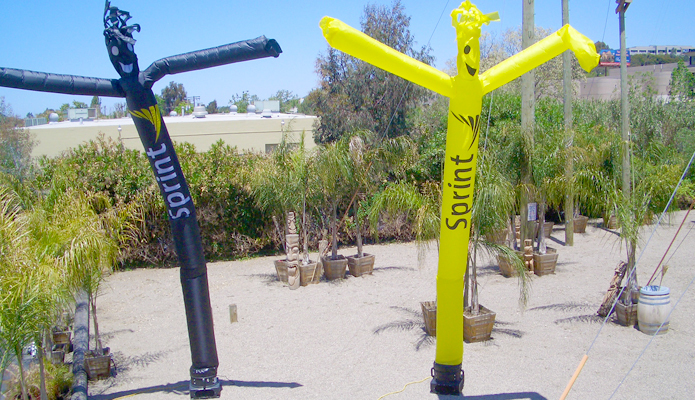 We create a wide variety of unique, one of a kind advertising inflatables, inflatable games and giant inflatables that are distinctively yours. With advertising Inflatables, inflatable logo walls, outdoor inflatable displays and inflatable product replicas, we can turn your product into a larger than life advertising inflatable promotional tool to target your markets, bring brand awareness and promote business. A selection of our happy customers. Please feel free to also browse through our case studies.